Artsmithite is a hydrous mercury aluminum phosphate species. Mineral collector Arthur E. Smith, Jr. (1935-2009) discovered the mineral while field collecting (Roberts et al. 2003). 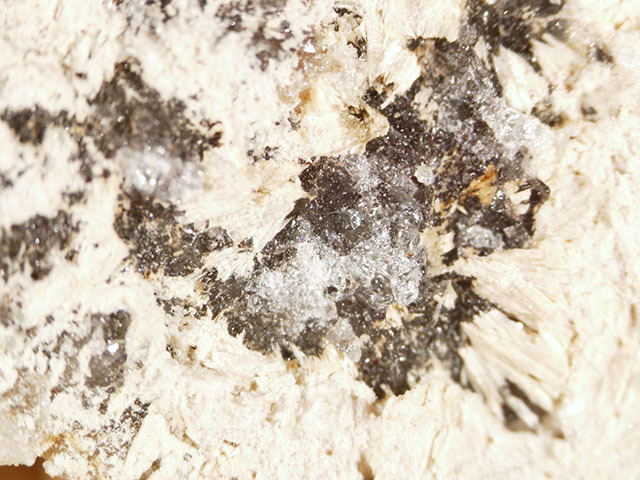 Dr. Jeff Weissman photographed this particular specimen for inclusion in Excalibur Mineral Company's Photographic Guide to Mineral Species CD. 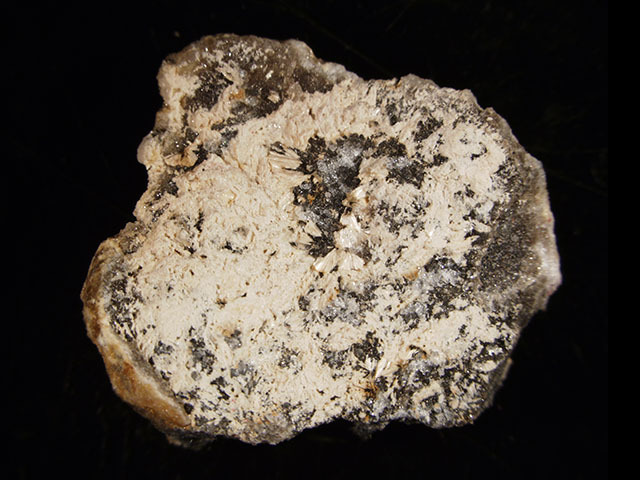 Dr. Weissman also uploaded a photograph of this specimen to mindat. Artsmithite forms bundles of white fibers, most lying flat on matrix. The matrix is drusy quartz. This is a very rich specimen, with a nearly complete coverage of artsmithite. The accompanying micromount box indicates that Meredith York collected this specimen in 2002. Also present is a green Excalibur Mineral Company label signed by Art Smith! A great mercury mineral species collectible! For ordering, please use the order form.